How Does Music Affect Your Children's Development? Music plays a significant role in our lives. From theater and celebrations to government and military ceremonies―name it and you will find the presence of music in so many aspects. Even inside their mother’s womb, music has been instinctively used to calm and soothe children, to engage and interact with them. As a matter of fact, several studies have already declared that babies actually start responding to sound even prior to their birth. But as parents, you might also be wondering, how does music specifically figure in your little ones’ early education and holistic growth? Well, a 2016 study found that childhood musical experiences can actually accelerate young ones’ cognitive development. Learning to play musical instruments improves their language and communication skills, mathematical skills, and overall literacy. Music also helps children in a Montessori school in California to develop better self-control, confidence, and higher self-esteem. It helps them learn how to manage their emotions and how to establish important relationships with other kids their age, which in turn enhances their individual development. As any children’s Montessori center in Anaheim, California will surely attest, early exposure to music during childhood also enhances your young ones’ creativity, memory skills, listening skills, and ability to focus. 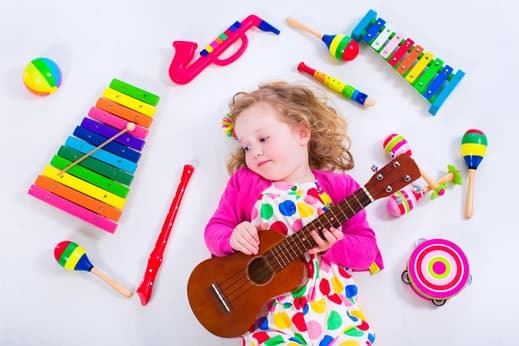 By playing instruments, children learn crucial coordination skills, too, such as hand-eye coordination and whole body coordination, which improve their fine motor and gross motor skills. If you are still not convinced, a visit to Anaheim Hills Montessori School just might drive home the point. You can also contact us for a more thorough discussion on the impact of music on your little ones’ development. This entry was posted in Children's Development and tagged Child Learning, Early Education, Kindergarten, Music. Bookmark the permalink.